“Safety Slims:” a tool for traveling! I want to share a handy little tool with you today…Those of us who work with kids who have disabilities in school and in church know that safety is critically important for ALL kids. For children who have communication, behavioral, emotional or health issues, however, we often need to plan proactively to ensure safety…especially when we take our show on the road! Traveling with kids requires us to think through the logistics of managing these needs on the road. We want to include students in retreats, field trips and service projects to the greatest extent appropriate; the extra care we take contributes to increased participation. These safety cards were created using a Word bookmark template. They can be printed and laminated. If multiple kids have special needs, these can be hold-punched and held together with a vocabulary ring. One leader can hold these in a backpack or purse (and it’s always wise to have a duplicate set kept in the bus or retreat center…just in case!) Therefore, in case of emergency, all of the critical information is easily accessible. Hopefully this will lighten the load…these safety cards are easier to carry than large folders of information. Take care when sharing this information with volunteers and staff. Confidentiality is so critical to building a trusting relationship with kids and families. 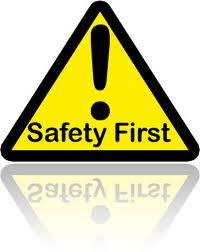 Be certain that safety information is shared on the foundation of confidentiality and respect. Modify the template to fit the needs of your church, school, program and individual kids! This is just one way to share information…not the only way! Hope this is helpful, friends! This entry was posted in Communication, Managing Ministry and tagged communication, ministry, safety, special needs, volunteers by katiewetherbee. Bookmark the permalink. I can never seem to post my comment. GREAT IDEA! I was recently thinking about writing a ONE PAGE for Joey…to have a work and be able to copy as needed. THIS IDEA IS MUCH BETTER….laminate it and it’s good to go! I’ll be posting this in UJ tomorrow! THANKS! Thanks, Cindi! Glad this will be helpful!